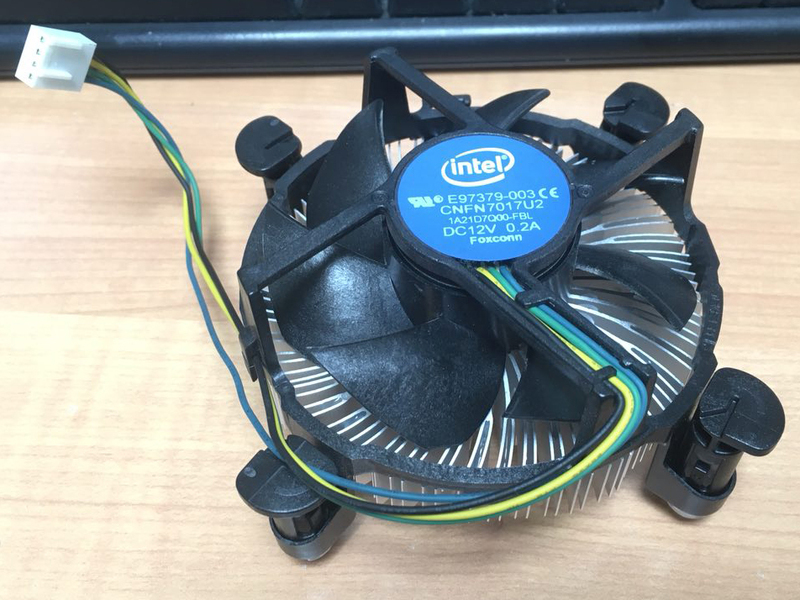 Just kidding of course, but I’m always puzzled by all the type of Intel’s stock coolers existing today. Numbers doesn’t help much as they’re not used to code the type, features, etc. of the heatsinks. 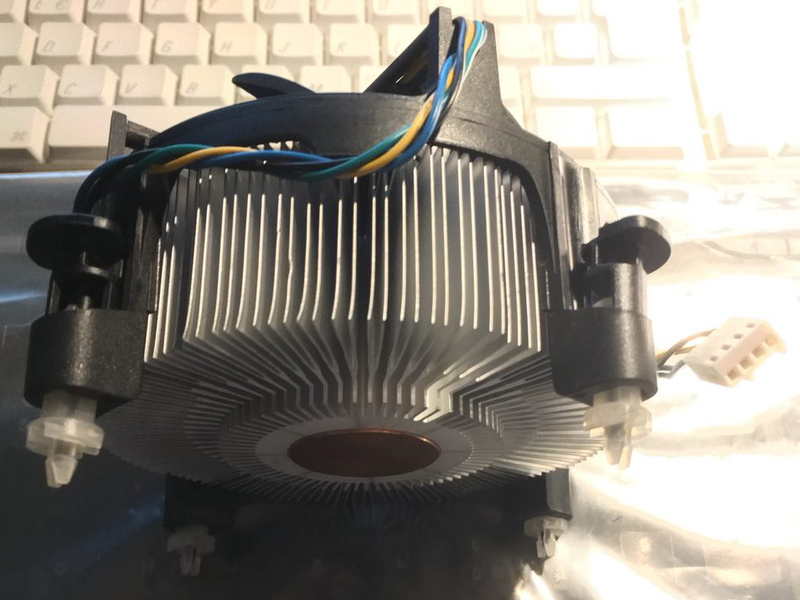 Unless otherwise specified, they’re all equipped with a 4 wire, 12Volt, PWM fan. 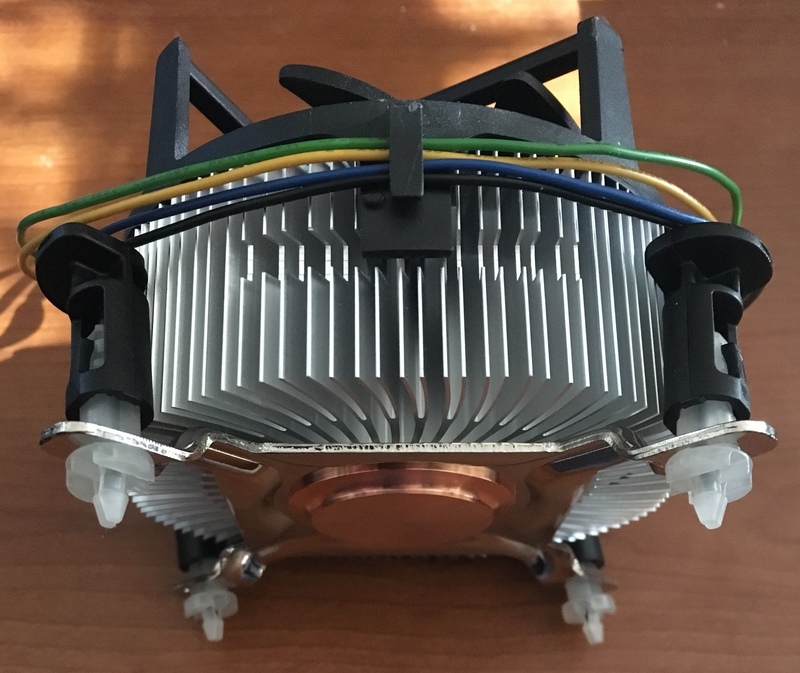 E18764-001: According to this Phoronix Review, this should be the stock “Low-Height” copper-core heatsink of the Core 2 Duo e8400. I have two of those: one came with an i3-6100, another with an i5-7500. 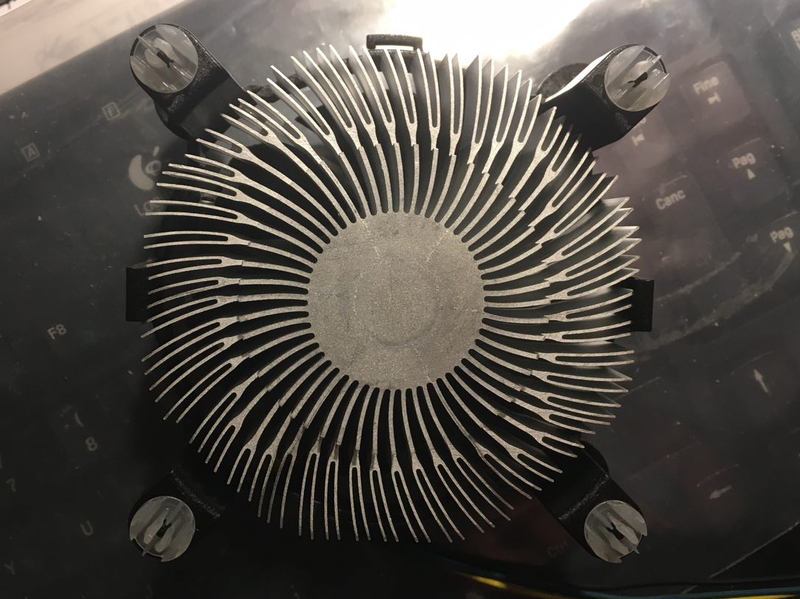 Same number but slightly different heatsinks. With the arrival from Hong Kong of the last adapter, I was finally able to finish my upgrade! 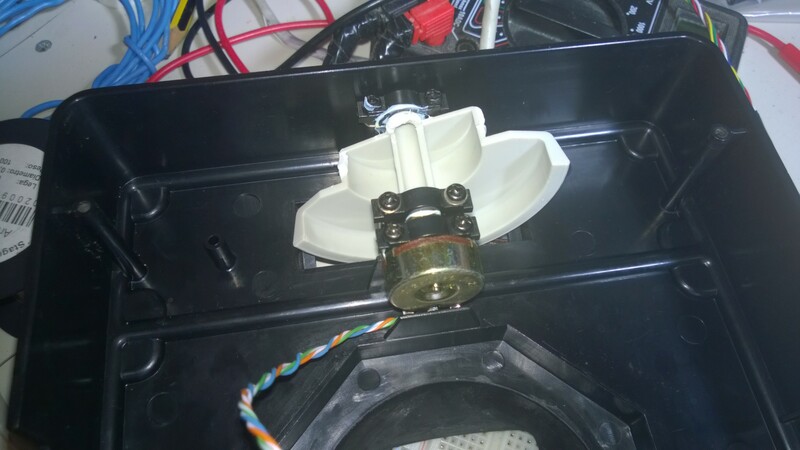 I enlarged the hole for the original cable and mounted there the panel connector. I can now use whatever USB cable (long or short) I like. In the end, this was, after all, a ‘test project’. I’m not gonna use this joystick a lot because… well, I just bought a Thrustmaster Hotas Warthog, and it’s worth every cent I paid. In conclusion, what I learned from this project? 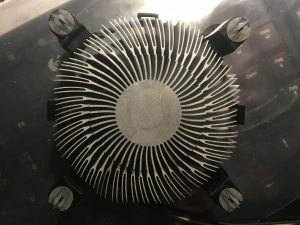 When ordering more than one piece of electronic from eBay, especially from Hong Kong, it’s better to try everything when the items arrive, not just when one needs them. Without both good gimbals and good springs there is not a good joystick. 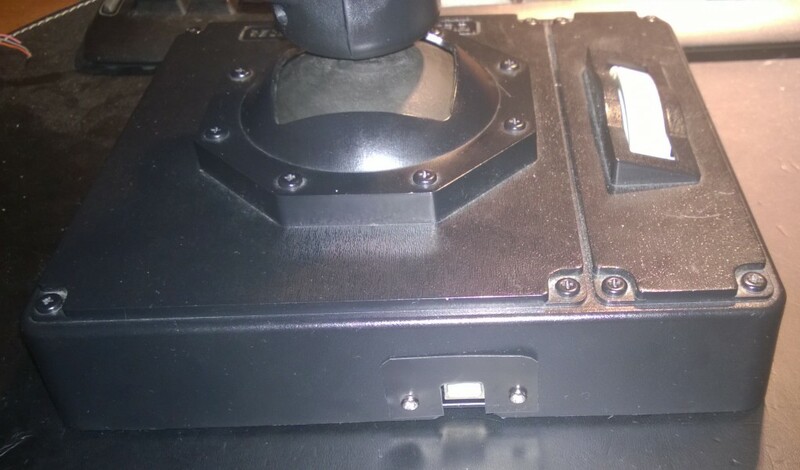 I did this upgrade because I’m attached to this joystick as it was my first “good” flight controller like 17 years ago and I didn’t want it to stay on the bottom of a box with other useless things. I don’t recommend anyone to buy this joystick with the purpose of upgrading it like I did. Maybe it’s better to buy an FCS Mark II or an X-fighter (better gimbals and better springs if what I read it’s true). Cheap pots are cheap (Department of Redundancy Department here). What I mean is that I opted not to upgrade the pots with newer parts or hall sensors, partly because I’m lazy, partly because I think it was completely pointless (gimbals and springs). This means a lot of “garbage” on the analog inputs. 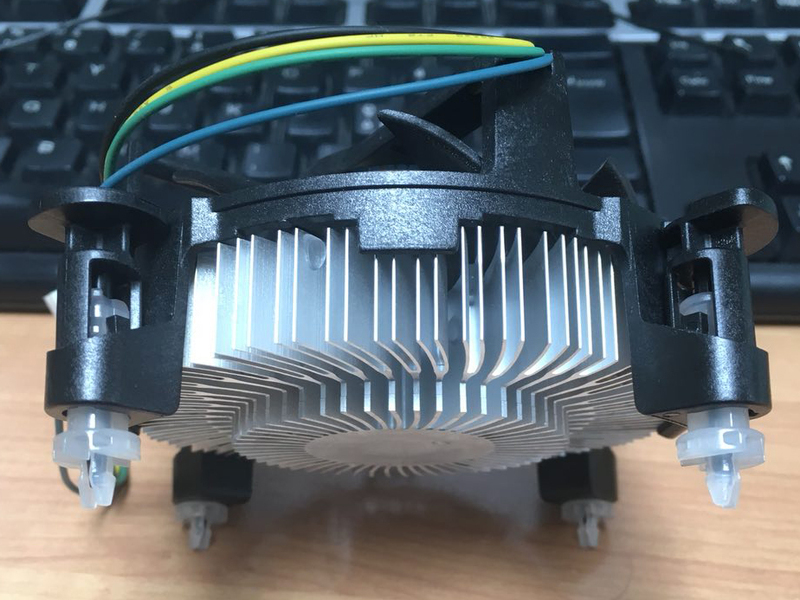 Also, this means that the highest and lowest voltage levels change for various reasons (humidity, heat, planetary alignment…). Flight Simulators are a niche product nowadays but the community is still alive and is doing fine. 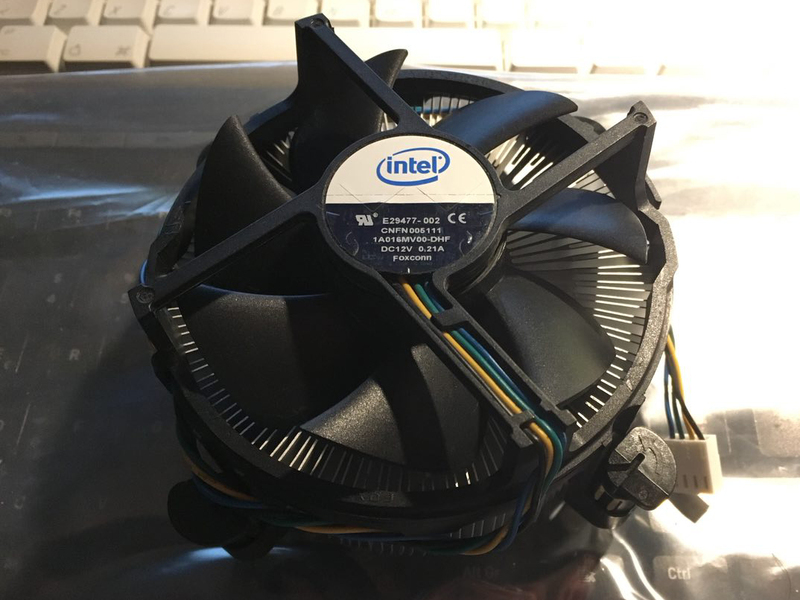 Cheap $5 Arduino’s clones are extremely versatile. They’re great, really great. Making the electronic parts for a flight controller (sensors excluded) has never been this cheap. MMjoy2 is one hell of a software. It’s incredible, does everything, it’s free and open source (hosted on GitHub). I can’t be more grateful to the developer for making this fantastic work. In the end, my next project will be focused on the same upgrade to a Suncom F-15E Raptor joystick I bought used for €20. 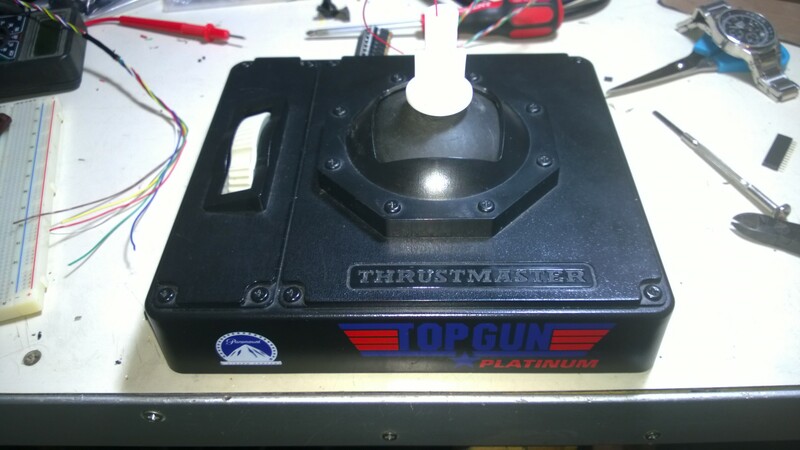 I’m also currently looking on eBay for old Thrustmaster TQSs (but the Hotas Cougar throttle it’s more appealing). After all… it was fun. I’m not gonna use it very much, but I’m fine knowing I did this upgrade. With two axis and one throttle the stick is suitable for a lot of activities (like flying a Cessna, with a set of rudder pedals), but not for military purposes. We need at least a trigger and a weapon release button (the trigger is used only for the gun, while the weapon release button, well release – or drop, or launch, or whatever – the selected weapon, except when the selected weapon is the gun) to use this joystick for combat sim. 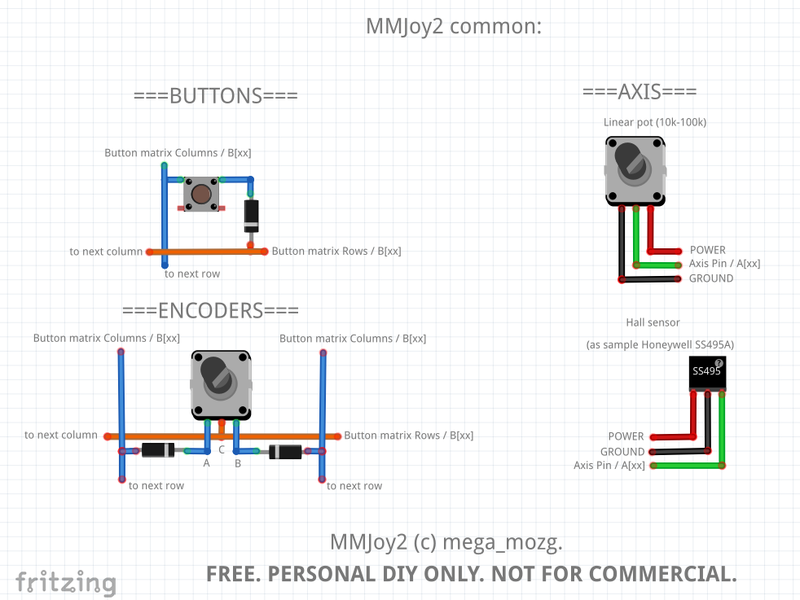 Anyway, first things first: MMjoy2 allows two types of button’s connection. If you want to connect a single button, you have to create a 1×1 matrix (silly concept, I know, but that’s the way it works). MMjoy2 guidelines states that over about 10 buttons, shift registers are the way to go. I agree, maybe not with 10, maybe over 16 I’d go with shift registers too. Back to the Top Gun Platinum (by the way I’ve seen Top Gun – the movie – in a cinema recently for the 30 years anniversary! In – almost – 3D! ), we have 4 buttons and a “China Hat” switch. So we have the aforementioned trigger [TRG], weapon release button [WPR], an Air-Refueling Disconnect button [ARD] and a nose-wheel steering button [NWS]. Then we have the “China Hat” 4-way switch that is used for pitch and ailerons’ trim control. In the Top Gun Platinum, as I already wrote in the first post of the serie, the hat switch was connected as an axis. I – more or less – destroyed the PCB under the switch to leave the four push buttons in the hat disconnected. 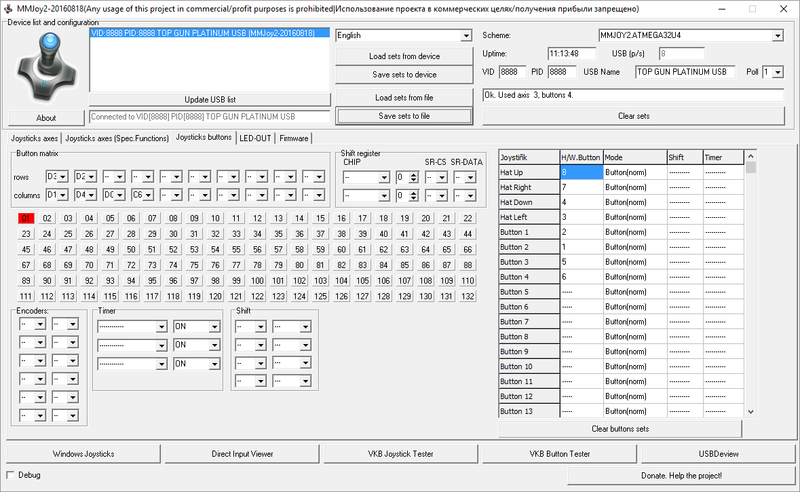 Total numbers of buttons for the new configuration: eight. 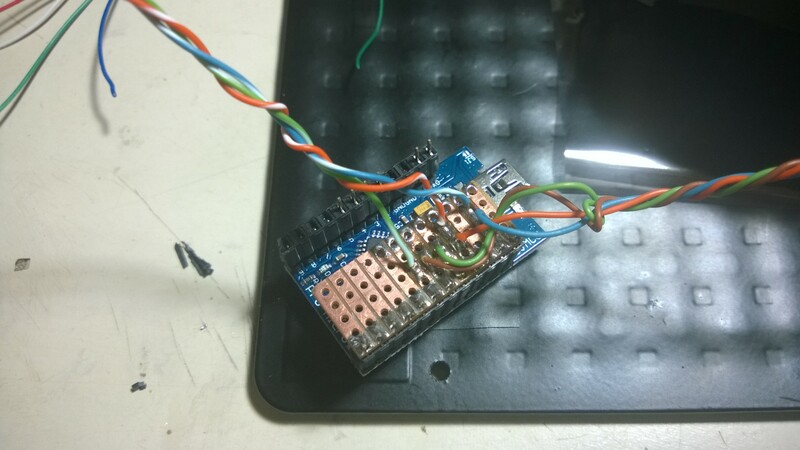 After a quick glance at the MMjoy wiki to check how to connect the buttons in a matrix using as less cables as possible, I decided to go with a 2×4 matrix, 2 rows and 4 columns. 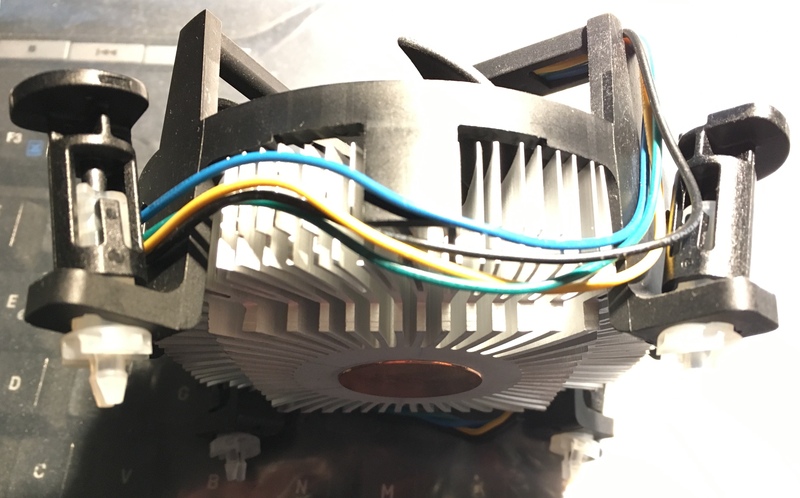 The diodes are used to prevent ghosting and masking. I found a rather interesting article about those two problems with really simple to understand images. You can read more here [link]. For the diodes, I found eight identical signal diodes. They worked and so I decided to use them. 1N4148s are good to go. The really good thing about MMjoy is that any button in the matrix can be assigned to any button on the device. For instance, I like to assign [TRG] to button 1, [WPR] to button 2, etc. Also, any button can be assigned to the “Hat” up-left-down-right press. This pretty much sums up almost everything I’ve done. Next and final step will be about the finishing touches (but I’m still waiting for a pair of cables to arrive from Hong Kong). 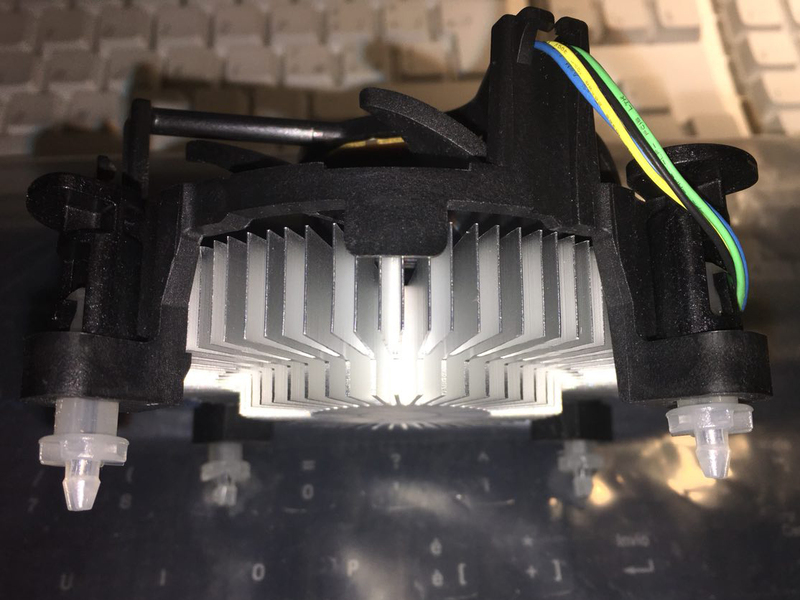 With the arrival of two “Pro Micro” Arduinos from an eBay seller in Hong Kong (fast shipping, just two weeks, but one, unfortunately, is not working), work has started on the Top Gun Platinum! My choice was to use the MMJoy2 firmware that is a really nice software. With MMJoy2 a compatible Arduino is seen as a HID device, so no drivers are needed and compatibility is assured 100% with every software. It’s a really powerful software and I really like it. Links here: MMjoy wiki (en). 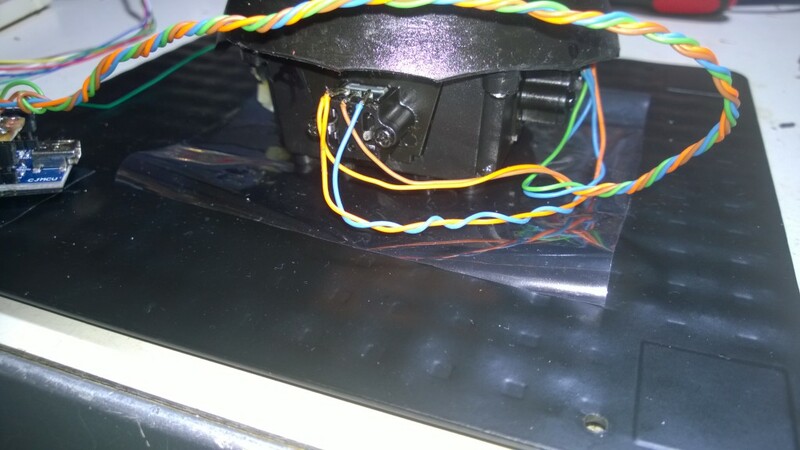 The first step (at least for me) was to re-wire the pots (potentiometers) for the two axis and the throttle. The older game port connection worked as an ohm-meter by measuring the resistance of the pots used as variable resistance. The ATMega32U4 integrated ADCs simply read a voltage value between 0 and 5 Volts, from pots, hall sensors, external sources. That means that the pots have to be connected between Ground and 5V (Power or USB +5V) with the cursor connected to one of the ADC pins. I decided to use wires from a CAT-5 Ethernet Cable for both the axis’ pots and the throttle’s pot. I also put some grease on the gimbals and on the throttle axis. I used some teflon grease that should last some years (I hope). Just to make a simple test, I decided to close the base, leaving the board outside. And then a final picture before connecting the base to the PC to test the pots and their connections. The quick test went fine. 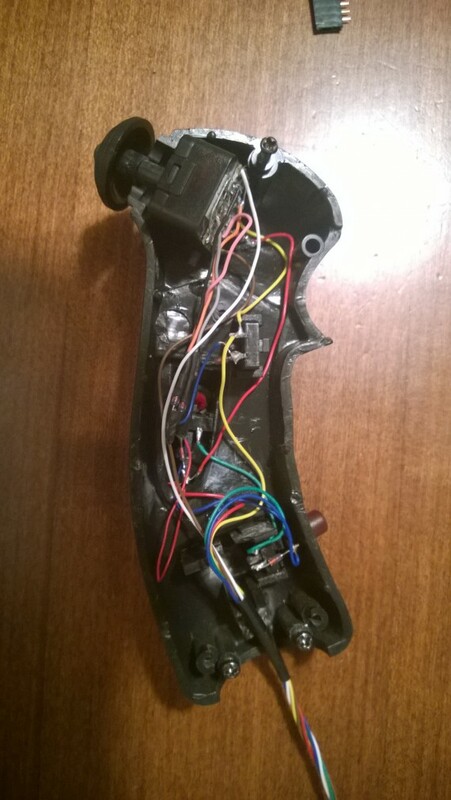 Next part will be about connecting the grip’s buttons and China HAT (POV) switch. (Part 1 of X as, honestly, I have absolutely no idea of how many parts this series of articles will last, anyway). 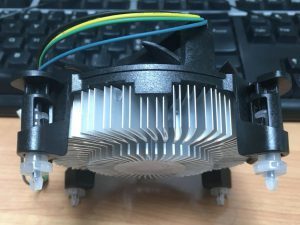 If you’re reading this you probably know which company Thrustmaster is, what’s its main business and what are their most known products. Probably you’re a simmer. If you’re not a simmer, that means a person which is interested in simulation (usually flight simulation), then maybe you don’t know Thrustmaster. This is their website: Thrustmaster.com (US). 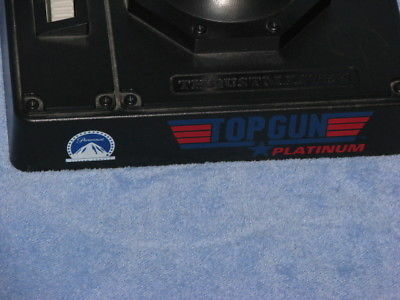 Back on topic, around year 1998/1999 my father bought me a Thrustmaster Top Gun Platinum joystick. 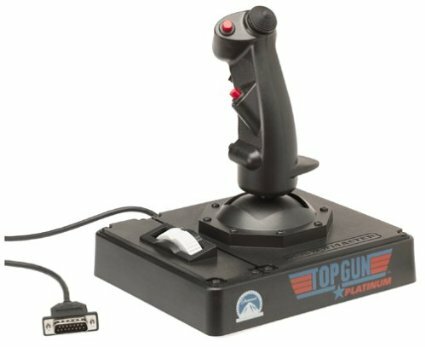 The original “Top Gun” (the joystick, not the movie) was an X-Fighter joystick with simpler gimbals and directly attached potentiometers (from now on pots for short). The Top Gun Platinum added a throttle to the base of the controller with an all-black colour style. 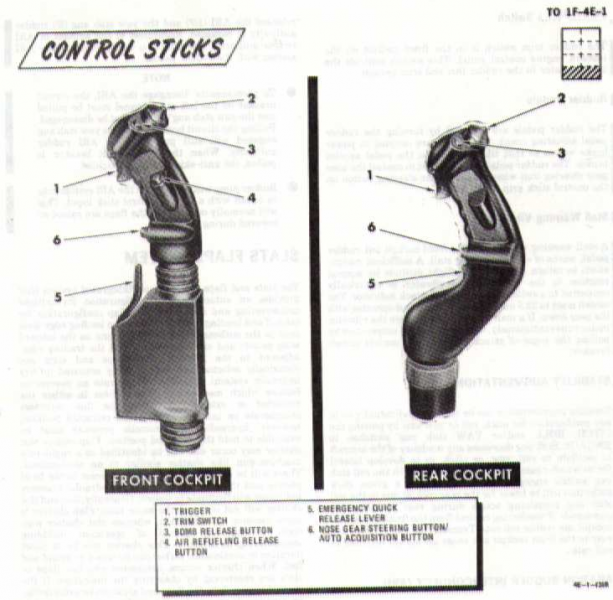 The stick is really similar to (but not exactly a replica of) a B-8 grip. The B-8 was a very widespread grip that was used on many US and NATO aircrafts, like the F-4 “Phantom II”, the A-10A “Thunderbolt II”, the Bell 206 “JetRanger III”, the Aermacchi MB-339 and many others. The stick, as usual for that time was connected via game port. It has 3 axis, four buttons and a four way “china hat” switch, usually used in simulators for changing the player’s Point of View (and therefore sometimes named HAT/POV) while in real airplanes is used for pitch and roll trim. Thrustmaster used a “hack” for connecting the hat switch on this and many other joysticks before USB became the standard connection. 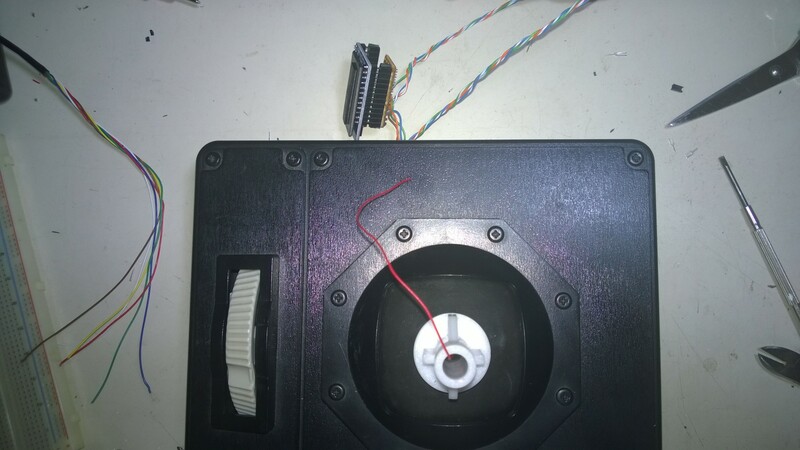 Because game ports allowed to connect a total of 4 axis and 4 buttons, and the hat switch usually is implemented with 4 microswitches, there was a shortage of buttons that can be connected. 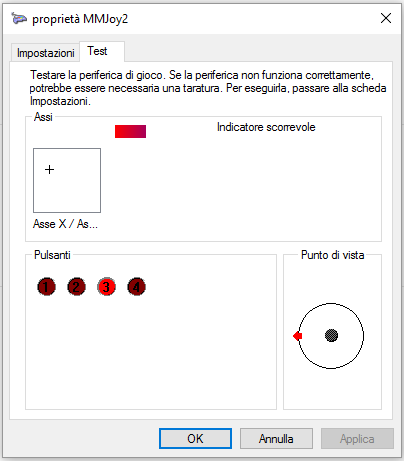 Thrustmaster used an axis line and some resistors to send various resistance values to the game port. An “ad-hoc” driver inside the game or the operating system decoded the resistance values and used it as if 4 different buttons were pressed. The drawback is that only “up”, “down”, “left” or “right” directions were allowed (both mechanically and electrically) as it wasn’t possible to combine two commands simultaneously. 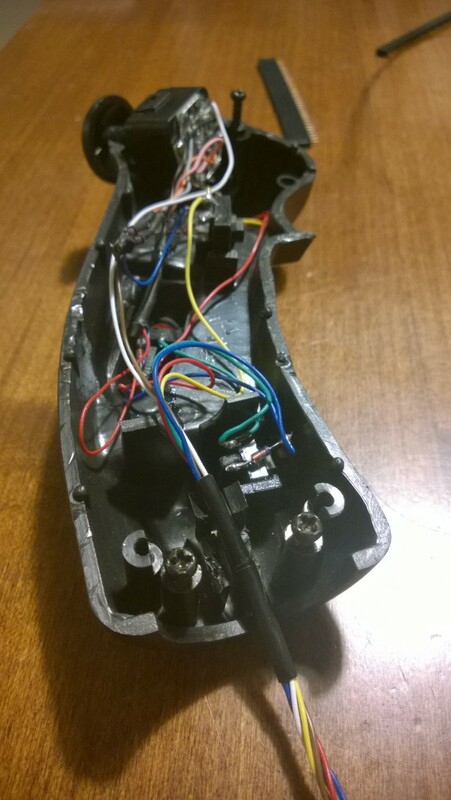 Now the project itself is about completely rewiring the joystick and converting it to USB using a cheap Arduino reprogrammed as a HID device. Part 2 of X will follow when work will actually start. I’m doing some experiments with OpenWrt (http://openwrt.org), in particular, I need to build a custom firmware for a cheap router (a TP-Link WR-841N). OpenWrt is modular enough to install packages on an already installed image, but when your flash memory size is 4MiB, you want to strip everything unnecessary and add everything you need inside the SquashFS file system. 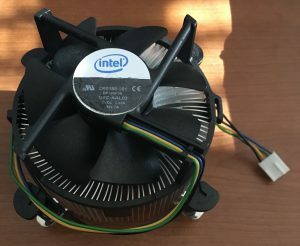 Building a custom image doesn’t require recompiling anything, there is an ImageBuider package that just create the complete firmware image with a custom build script. The ImageBuider package has been designed to run on an x86_64 Linux distro. So I installed Centos 7.0 on Hyper-V on Windows 8.1, everything was working out great except for the screen resolution, that was stuck at 1152×864 (X.org is smart) in the Display Settings in Gnome, and my notebook display is 1366×768. I would be pretty satisfied at running Linux with a resolution of 1024×768, it’s not that I really need 1366×768 at the moment, but even if 1024×768 is a lower resolution compared to 1152×864, X.org doesn’t allow to select any of the lower VGA, SVGA or XGA resolution. It’s not that the VM is unusable, but it’s very frustrating dealing with scrollbars even in full-screen mode. The funny part is that Linux already include the Hyper-V integration services since kernel 3.3 or 3.4 or something like that and RHEL 7.0 currently use 3.10 (a giant leap forward from the 2.6.32 kernel of RHEL 6.x), but there was no way X.org recognized the Hyper-V framebuffer. With the xorg.conf file gone a long time ago, we are in the era of autoconfig, monitor hotplugging, etc. Microsoft state that the best way of connecting to a VM running in Hyper-V is via RDP, this requires having a stable network connection between the host and the guest OSs and having a RDP service running in the guest OS: pretty easy on Windows, a bit more complicated on Linux where xrdp, an RDP server, works but it’s not an easy solution and always require a stable network connection. If the Hyper-V server is in the DataCenter, this surely is the best solution, but on a notebook this is a bit an overkill. Looking at the output of lsmod, the hyperv_fb module is already loaded, so there is no reason for it not to work. After following various guides with all the sort of commands, like adding a modeline to xrandr (doesn’t work), adding video=1366×768:24 to the kernel boot arguments (doesn’t work), adding resolution=1366×768 always to the kernel boot arguments (needless to say…), I’ve finally found the first alf of the solution in a forum about SUSE. finally allowed me to use the VM in full screen @ 1366×768! Paper burns at 451° F (~233° C). Ray Bradbury decided to title one of his novels after this temperature. Solder melt at 370° F (~188° C). No one titled a novel after this temperature, and the reason is pretty obvious: it isn’t always true. The most common solder was, when I was small and Xmas trees were tall (Bee Gees anyone? ), the alloy made of tin and lead. More precicely, the alloy made 60% from tin and 40% from lead. 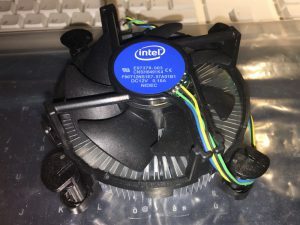 It was cheap, it was good, it was easy to use for the average electronic use, that is building a circuit from scratch or repair a factory-made device (they used more or less the same alloy). Now we are tall, and Xmas trees are small (“First of May”, by The Bee Gees) and lead is nowhere to be seen anymore. Not in gasoline, nor in solder alloys used in factory-made devices. The problem is that when a component (maybe a SMD) is soldered on the ground plane of the circuit board with a ROHS-compliant solder, not even 896° F (~480° C) are able to melt the d**n thing! 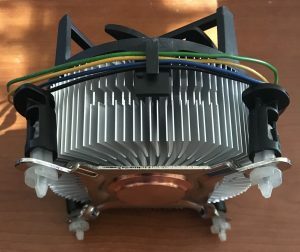 I will make d**n sure not to buy any ROHS-compliant solder for the following decades. A fast update just to say that the adapter is fully working on the Raspberry Pi running NetBSD 6.99. Connection parameters are 115200-8-N-1 with flow control OFF (ON by default on PuTTY). The adapter should work also on Rev. 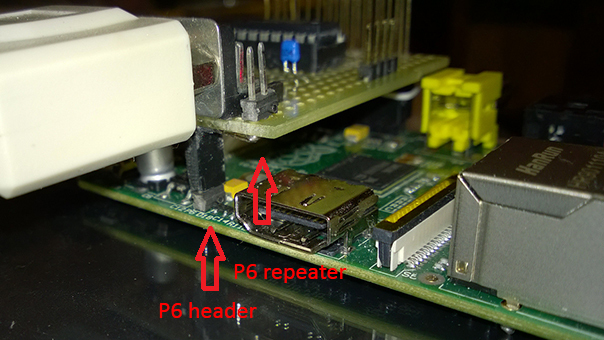 1 Raspberry Pi B models, but there is no P6 (soft reset) header on that revision. As standalone serial interface, works flawlessly with my old D-Link DSL-G624T wireless modem router. Being a rather old device, it use a slower 38400 bps connection (38400-8-N-1), but, nevertheless, works pretty well. 2012 was the year of the Raspberry Pi. This credit card sized computer has become a huge worldwide success. Running GNU/Linux or other operating systems is an easy task, it just requires to flash an image on an SD Card, put it in the Raspberry and switch on the power supply. The Raspberry Pi version B sports two USB 2.0 ports (only one on vers. A), a Fast-Ethernet connection (no network on vers. A), HDMI, Composite Video and stereo audio output. It seems there’s nothing missing on the connection side. You can just plug a TV/monitor, a keyboard (and a mouse) and you’re ready to use the system. You can also access it via SSH if you’re using Raspian or another OS that automatically enables the network connection and runs sshd or some telnet server at startup. But, if you don’t have an available TV/monitor and you can’t connect to the Raspberry via network (because there is no DHCP server on your current network or there are no SSH/telnet servers running on the OS), your last chance is a serial console. 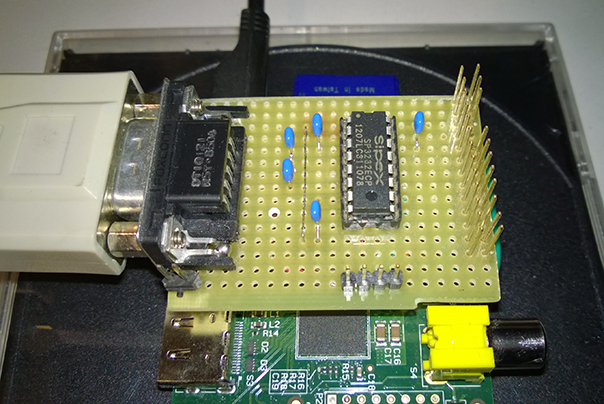 In a nutshell, the Raspberry Pi does have a serial port and a serial console is usually enabled by default by the OS on it, but there isn’t a standard UART/RS-232 connector. Two pins of the GPIO header must be connected to a level shifter like the Maxim MAX3232 in order to have a fully working RS-232 connection. I wanted an interface circuit with a standard DB-9 male connector. This way I can just change some settings, disable the serial console and use the circuit as a simple serial port for the Raspberry PI. I wanted something like an Arduino’s shield, to just plug over and be ‘solid’ with the Raspberry. 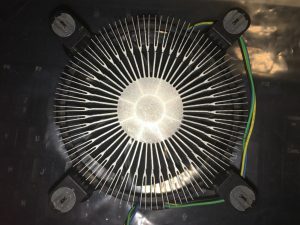 I wanted the other GPIO pins to be available for other connections, like displays, I2C devices, RTC modules, etc. I wanted the two pins of the soft-reset headers to be available for use even with the circuit plugged over. 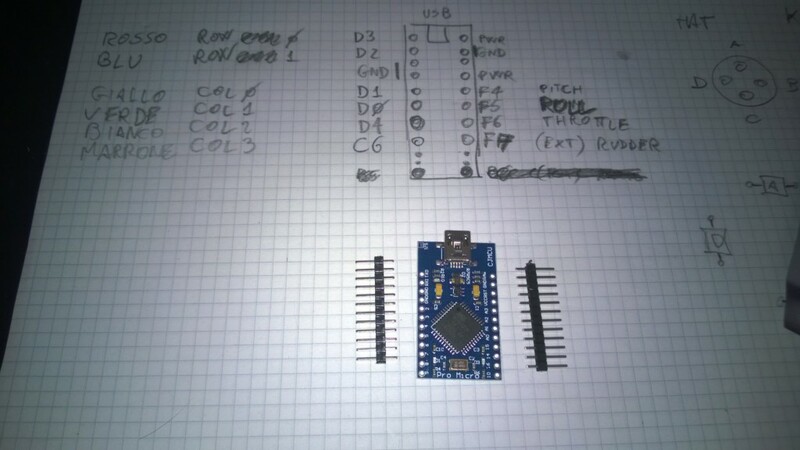 I also wanted to use the circuit as a standalone RS-232/3.3V level converter to be able to connect to other embedded systems’ serial consoles (like the serial console found in many routers). 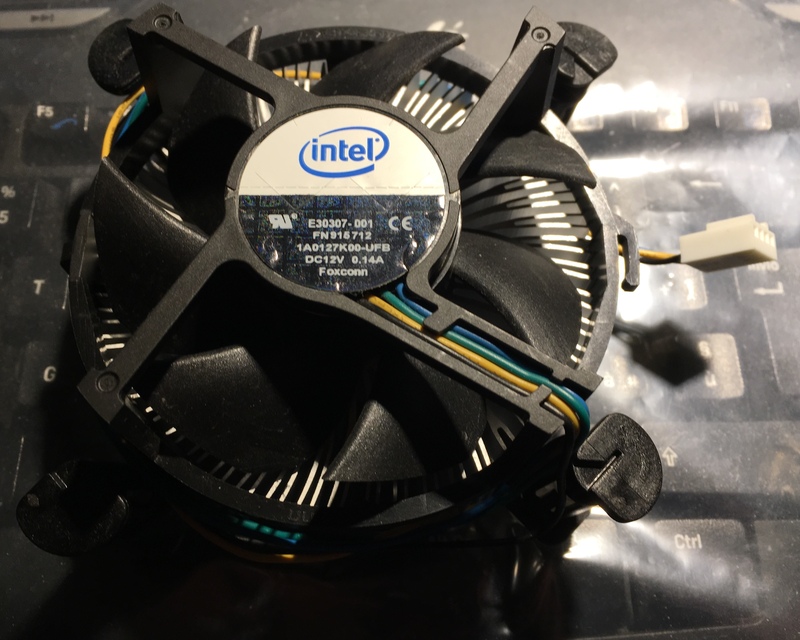 In the end, I came out with this solution, made with a MAX3232 compatible IC (the cheaper and more versatile SP3232ECP), some stackable headers, the usual five 100nF capacitors and a DB-9 male connector coming from a scrapped old motherboard. 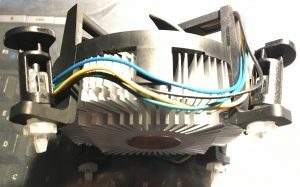 The P6 header “repeater” (as I call it) also serves to support the circuit on the side of the DB-9 connector. 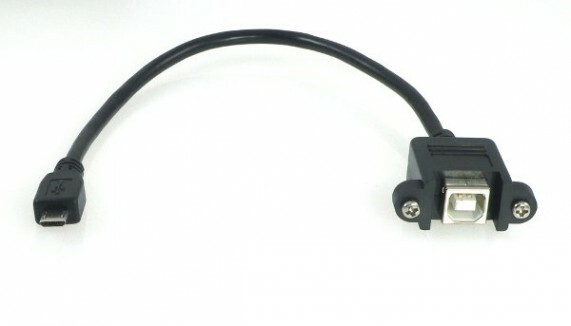 A four pin AUX header is also provided for standalone use, with 3.3V, GND, RX and TX connected. 24 out of 26 GPIO pins are present on the circuit. 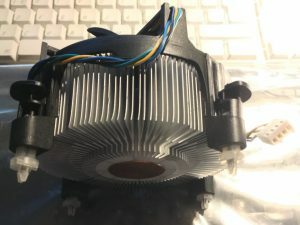 Of course GPIO pins 8 and 10, TX and RX, are not available for other connections. 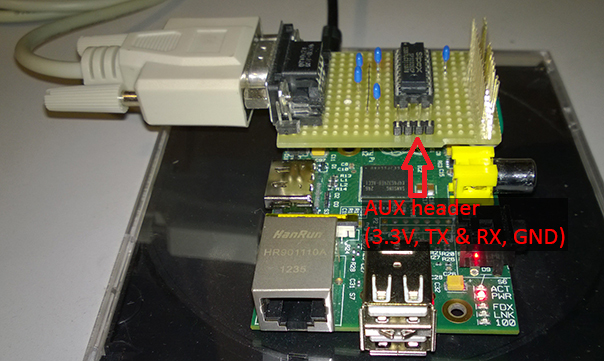 I’m currently trying the adapter on the Raspberry and seems to be working well. On the PC I’m using an old Prolific USB-to-Serial adapter with a null-modem cable. For various reasons, I need to use OpenVPN at the university to be able to connect to the internet when I’m connected to a wired connection. I don’t like OpenVPN on Windows, primarily because it’s a software created for *nix systems and doesn’t run very well under Windows so it needs a lot of configuration under certain circumstances and so on. Nevertheless, OpenVPN works by creating an IPv4 Point-to-Point connection using a /30 subnet between the server and the client so, for instance, if the server, on the Point-to-Point connection, has the address 192.168.2.1, the client will have 192.168.2.2, the subnet itself will be 192.168.2.0 and the broadcast address will be 192.168.2.3. If you’re using Oracle VirtualBox or VMWare Player, you can simply configure the network adapter of the virtual machine to manage a NAT themselves. If the host has internet access, guest operating systems will be able to connect via a NAT hidden to (but usually customizable by) the user. But what if you’re using Hyper-V? Hyper-V has been designed for datacenter operations on Windows Server, where dedicated physical routers would manage routing, NAT etc. This brings a lot of really cool features like directly connect a virtual machine to a FCoE SAN or managing virtual switches and other stuffs, as expected from an enterprise-class hypervisor. Supposing that, like me, you’re running Windows 8 / 8.1 with Hyper-V on a laptop (I need it for the Windows Phone 8 emulator) and you’re connecting using some kind of PtP connection, like OpenVPN or a simple PPPoE modem, you need to configure a NAT on your system. This despite the fact that you won’t always need it, that will not work for every wireless or wired connection you’re gonna use and that there is a really big problem ahead, but let’s talk about this later. Creating a NAT for your virtual machines it’s pretty easy. Just open the Hyper-V management console, create a new virtual switch connected to an internal network (call it “Hyper-V NAT” or something like that), then open the Control Panel, open Network Connection and Sharing Center and enable the Internet Connection Sharing for the PtP connection you’re using and select as the “domestic network” the “Hyper-V NAT” adapter. By doing this, Windows will enable packet forwarding, will set the IP address of the “Hyper-V NAT” adapter to 192.168.137.1/24 and will enable a DHCP & DNS service on the same adapter. Virtual Machines connecting via the “Hyper-V NAT” adapter will automatically get their network configuration and will be able to surf the web (and usually download several hundred MBs of updates on their first run). Seem easy, huh? Well, it is. You can also change the switch to which a VM is connected when it’s running, so if you’re moving to a place when your PtP connection is not needed you can simply connect the VM to another virtual switch. That’s fine, really fine, until someday you need to share the 3G/4G connection of your Windows Phone 8 with your laptop. How does it work? Easy. Your WP8 device turns into a wireless router with a built-in DHCP & DNS service. The Wi-Fi adapter IPv4 address of your WP8 device is set to 192.168.137.1/24 and your laptop will get the network configuration automatically by your phone. Gateway: none (or 127.0.0.1, but it doesn’t matter). That’s not gonna work. What your WP doesn’t know is that it’s telling your laptop to use itself as gateway. The easy workaround is to disable the “Hyper-V NAT” adapter when you’re tethering your connection to your laptop, and that works. Or, you can choose to solve this problem, by telling Windows ICS to use a different subnet to share the connection. Because 192.168.137.0/24 is not really an “exotic” subnet, I decided to use the 172.31.137.0/24 subnet (yes, /24, not that you can select a different netmask anyway). To change these values, you need to manually edit the Registry’s values located in Computer\HKEY_LOCAL_MACHINE\SYSTEM\CurrentControlSet\Services\SharedAccess\Parameters. Change ScopeAddress, ScopeAddressBackup and StandaloneDhcpAddress accordingly to your needs. Try to select a subnet you’re almost sure you’ll never use and you should be fine until IPv4 will be deprecated (HAH!). Copyright © Viking's blog. All Rights Reserved.